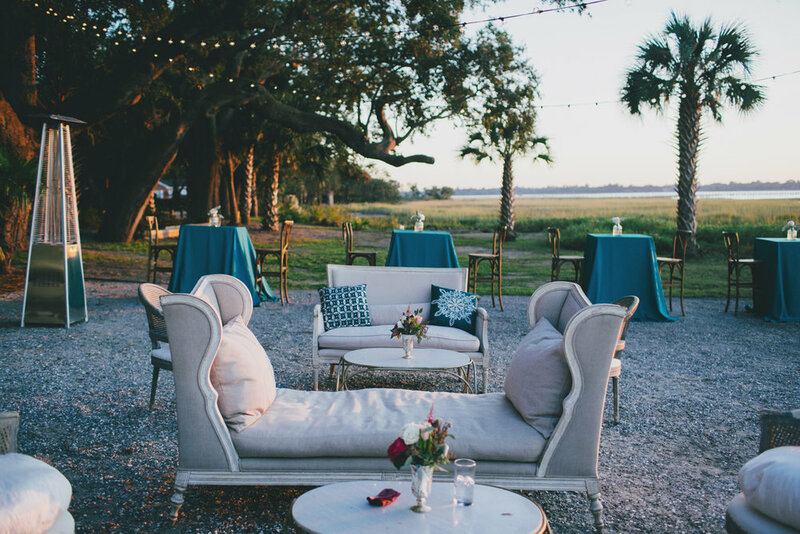 On a beautiful October evening, Lea + Justin tied the knot in a gorgeous ceremony at Lowndes Grove Plantation. 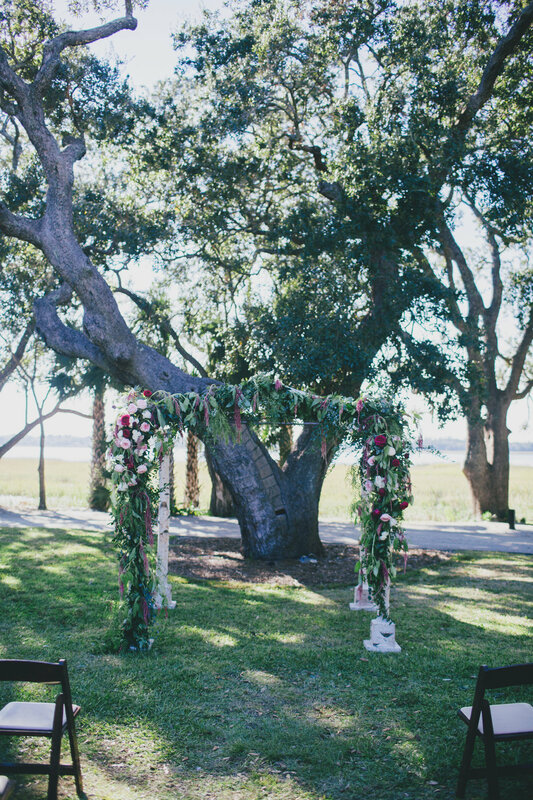 The couple met on the front lawn overlooking the bay for an intimate first-look, beautifully captured by Hyer Images, followed by the ceremony under a huppah dripping in floral. Guests entered the reception with gorgeous taupe draping and chandeliers to create an intimate and glamorous atmosphere. 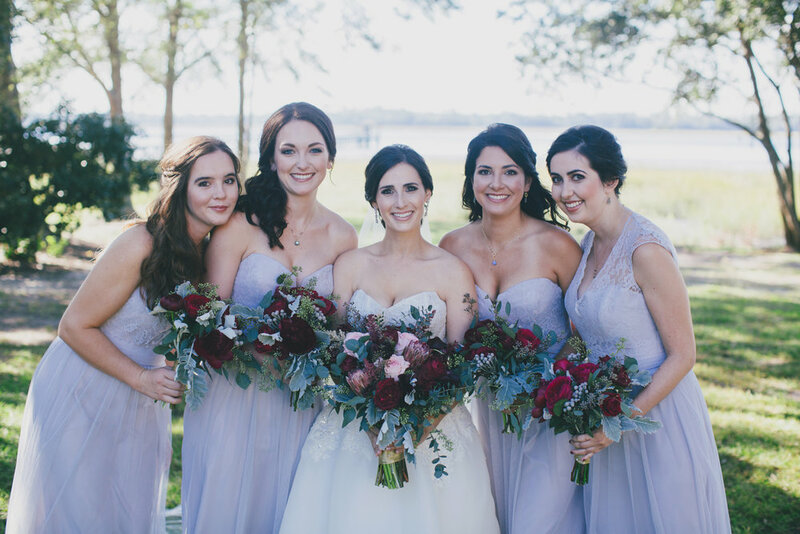 With the beautiful jewel tones of autumn in mind, the tables were set with deep teal napkins, burgundy, blush and gray florals, and accents of gold. The bar area was accompanied by green velvet couches to top off the design. Lea + Justin ended the evening with a dazzling sparkler departure as Mr. & Mrs. Sheridan!